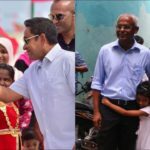 Opposition candidate Ibrahim Mohamed Solih ‘Ibu’ told reporters after a barbecue organised by youth supporters that graft, kickbacks and lack of transparency were responsible for the slow pace of housing projects on the reclaimed landmass near the capital. 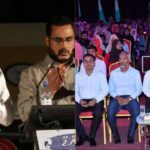 On Raajje TV’s weekly “Ibu” programme, he addressed criticism of the Jazeera Raajje (island nation) signature policy theme. Ruling party lawmakers have been mocking the campaign slogan with graphics of thatched-house clinics and people defecating on the beach. 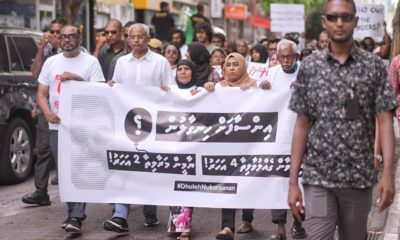 Ibu said the Maldives could be developed through a decentralisation policy to provide essential services on 186 inhabited islands, dispersed across the archipelago. 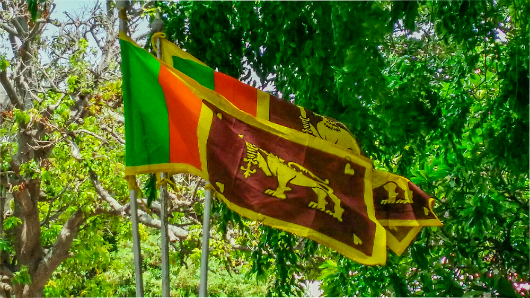 The current administration’s target is consolidating 70 percent of the population in the Greater Malé region. 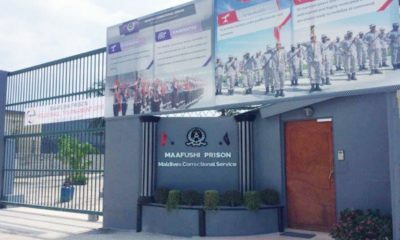 Relocation to a central urban area is unnecessary in a digital age, he said, pointing to Maafushi, an island hailed by the World Bank for pioneering guesthouse tourism. 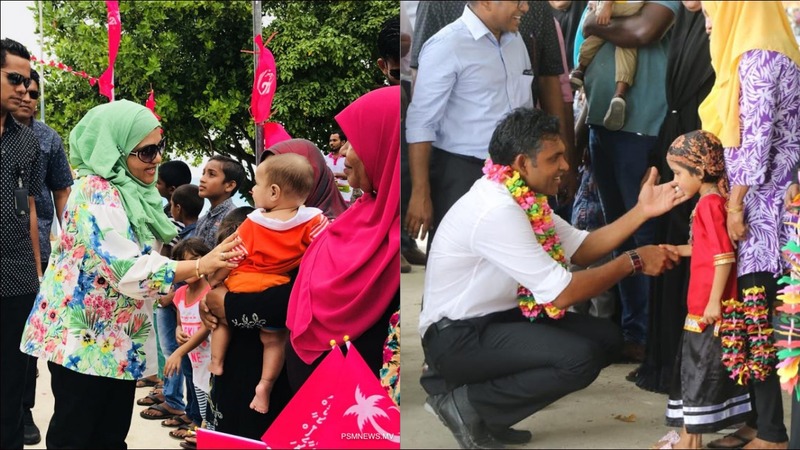 Running mate Faisal Naseem meanwhile concluded a two-day tour of Alif Alif atoll with a rally on Thoddoo island, pledging to prioritise housing solutions and to not politicise Friday sermons. 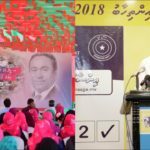 President Abdulla Yameen should be re-elected in “defence of the nation and religion” and to continue unprecedented infrastructure development, he told supporters on the southern population hub. 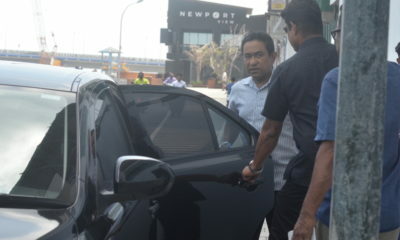 Over in the capital, MP Ahmed Nihan kept up attacks on former president Mohamed Nasheed, the target of a continuing campaign of vilification. 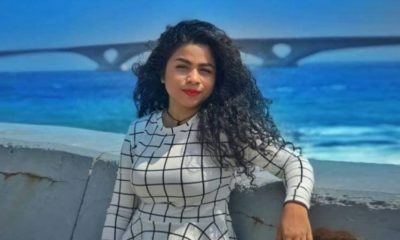 The ruling party parliamentary group leader challenged Ibu to renounce the Maldivian Democratic Party manifesto pledge of an 18-month interim government. 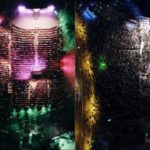 Several opposition figures have stated that Ibu would complete a full five-year term but the coalition manifesto has yet to be released. 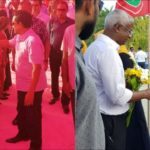 Nihan also contended that the opposition’s pledges are the same as President Yameen’s, a criticism echoed by ministers on state media. 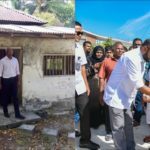 In an interview with PSM News, Housing Minister Dr Mohamed Muizz announced plans to reclaim land on crowded islands such as Haa Alif Ihavandhoo to award plots of land, a pledge made by the opposition candidate on several islands over the past weeks.